Each day in California, school transportation departments are responsible for transporting more than one million students; at least 200,000 are students with disabilities. This publication is intended to provide a foundation for understanding, training, and collaboration. It also is suggested that local policy and procedure be reviewed carefully for compliance with federal and state requirements. 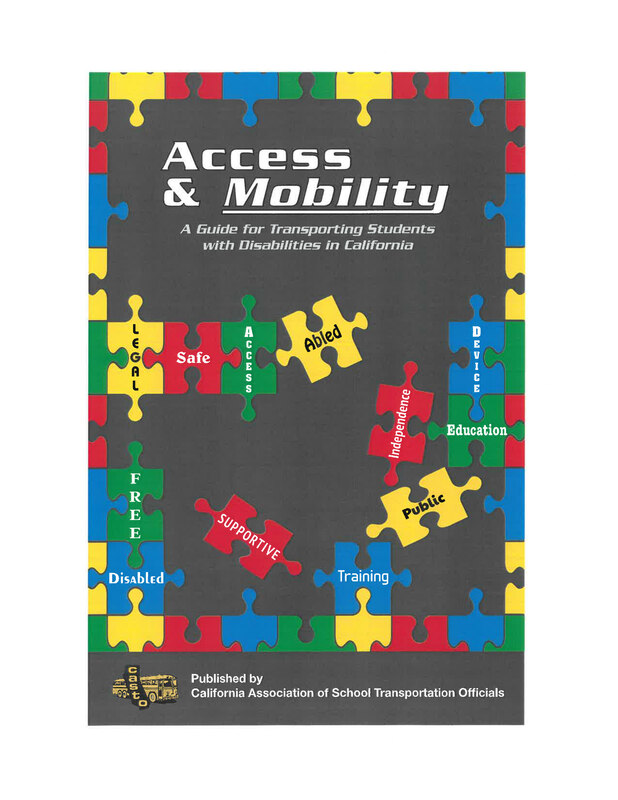 Access and Mobility, A guide for Transporting Students with Disabilities in California is published by the California Association of School Transportation Officials (CASTO).